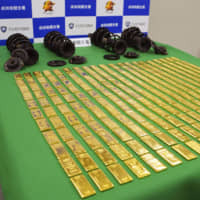 CHIBA - Police arrested Wednesday two Israeli men living in Tokyo for attempting to smuggle by airmail 220 kilograms of gold bars in 2017 — the largest haul ever seized in the country. 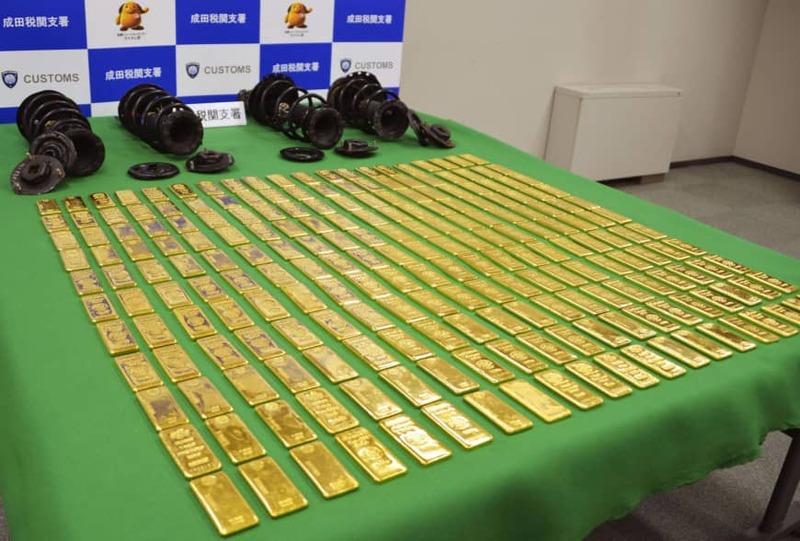 They were also held for alleged violation of Japan’s Customs Act, for successfully smuggling by airmail an additional amount of about 200 kg of gold — worth some ¥924 million ($8.42 million) — hidden within auto parts from Hong Kong, on Nov. 3, 2017, and evading some ¥70 million in consumption tax. The police believe the men — Reuben Rosen, 58, an executive at a precious metals importer, and David Cohen, 55 — belong to a group suspected of similarly smuggling a total of some 4 tons of gold in 50 batches since March 2017, and selling it in Japan. Investigators believe the gold bars were bought by a third party in Hong Kong and that the two Tokyo residents received them. The 220 kilograms of bars, worth ¥1.02 billion, were found by customs officials at Narita airport, near Tokyo, on Nov. 6, 2017. Rosen has admitted to the allegations while Cohen has denied some of them, according to police. Following Japan’s consumption tax hike to 8 percent from 5 percent in 2014, the country has seen a rise in the number of gold smuggling cases aimed at evading the tax, which is applied to imports of the precious metal, according to the Finance Ministry.